ICAN is a small, dynamic agricultural consultancy specialising in understanding and facilitating change within the Australian grains and cotton industries. When established in 1995 by John Cameron, the company mission was to link researchers, technology providers, advisers and growers. This vision continues as the driving force behind ICAN to this day. Our extensive in-house experience in the grains and cotton industries, coupled with our long held knowledge of who's who in these industries sets us apart. Our network of consultants and recognised industry specialists comes from time in, and knowledge of, the industry. We can assist you throughout the entire process of your project, from scoping the issues, developing content, through to follow-up feedback and analysis. What can ICAN do for you? With our wide network of researchers, industry experts and key influence agronomists, we are in an ideal position to assist companies developing new platforms and technologies to quickly and accurately assess market fit and how and where these technologies will benefit end users. We understand that in order for a technology to attain market success, a thorough understanding is needed of how the new technology benefits the end user; its points of parity and differentiation with competing technologies and the optimal positioning of the new technology. Our experience in developing business plans for multiple new technologies combined with a broad network of industry contacts, position ICAN to help technology suppliers to understand their products potential positioning, to develop targeted end user value proposition and to develop a targeted and cost effective communications strategy. Our long history of developing communication strategies in new technologies helps ensure that you will reach your target audience effectively. We also have the industry experience and technical writing expertise to develop technical manuals, e-newsletters or other promotional support material. For many years, ICAN's delivery of training packages on a range of crop protection areas targeted to agronomists have been industry recognised as cutting edge. Workshops developed by ICAN for clients such as the GRDC, CRDC, State Departments of Agriculture and a range of commercial clients on topics such as managing herbicide resistance, maximising herbicide performance, integrated pest and disease management have been highly regarded. Effective facilitation can have a huge impact on the uptake and application of an extension message, as well as being an integral component of general team and group management. ICAN's facilitation skills course is an excellent resource to improve the level of facilitation skills within your organisation, improving the efficiency of meetings both internal and external with your clients. Training is tailored to suit the needs of our clients. ICAN Principal, Mr John Cameron is an experienced trainer, facilitator, market researcher and strategic communications specialist. 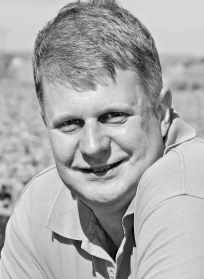 He has an extensive background in change management - particularly in the field of crop protection and especially in weed management and has also had extensive field R&D experience. His work pioneered the development of no-till farming systems in central Queensland in the early 1980's. Formal qualifications include B.Ag.Sc.Hons (Melb 1981) and Cert4 in Training and Assessment. Plus additional training in marketing, market research, management process and leadership and project management including courses through AIM (Australian Institute of Management), Macquarie Graduate School of Management and other service providers. Senior consultant, Mr Mark Congreve has over 23 years in a wide variety of sales, marketing, extension, development and project management roles for a number of Agribusiness prior to joining ICAN in October 2011. Mark has extensive experience in a wide cross section of Australian and New Zealand agriculture including the grains, pulse, oilseeds, and cotton and horticulture markets. Demonstrated strengths are in the areas of weed, insect and disease management, application technology, biotechnology, market research, agricultural produce marketing and project management, both within Australia and Internationally. Formal qualifications include B. App. Sc. Hons. (Rural Technology) (Gatton 1987) and Certificate in Animal Husbandry (Gatton 1983) plus addition training in marketing, market research and project management including courses through AIM (Australian Institute of Management) and Thunderbird International Business School. 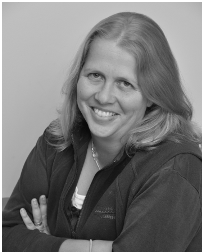 Research Manager, Ms Erica McKay has been with ICAN since 1995. During that time she has planned and coordinated numerous national R&D field research projects involving the services of specialist regional and industry specific consultants. In addition,has been involved in the design, implementation and reporting on several product tracking studies and product positioning studies. She has also managed the logistics and running of GRDC Grains Research Updates and various other conferences and workshops and conducted a broad range of technical writing from market analysis to extension , including co-editing and co authoring technical newsletters for Northern Grains Region advisers. Formal qualifications include B. Sc. (Agriculture) Hons. (University of Sydney 1998) and Grad Dip IT (University of Technology) plus addition training in report writing,and project management including courses through AIM (Australian Institute of Management). In 2016, we welcomed office manager Andrea Mathers to our team. Andrea's wide range of skills and friendliness fit perfectly with the ICAN team and the projects and consulting that we undertake. She has extensive experience in leading an office team, specialising in client relations, accounting and risk management. Prior to starting with ICAN, Andrea worked as an office manager in weather information services and before that, in emergency management consulting. Georgia Rose has been with ICAN since 2012, working part-time during semester and full-time during university breaks. Her wide skill set has made her an asset in ICAN’s delivery of a varied range of projects and extension events including the GRDC Grains Research Updates. Georgia collaborates with all members of the ICAN team in her role which includes web/social media development, client relations, event management, editing technical manuals and writing reports.